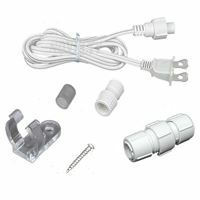 We stock an extensive inventory of all the accessories you'll need for any of our rope lighting products -- incandescent 1/2-inch 2-wire rope light, chasing 1/2" 3-wire rope lighting, LED 1/2-inch 2-wire rope lights, and 3/8" 2-wire mini rope lights. 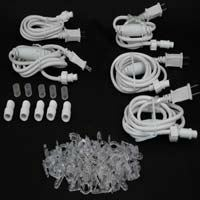 NoveltyLights, Inc. rope light accessories are designed to work with our rope lighting products. 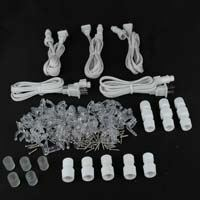 Because we are the rope light experts you can call us at 800-209-6122 or email us if you need help choosing which rope lighting product is best for your application.